Mont'Alfonso is an accessible fortress to every type of user. It is in services, it is in infrastructure. 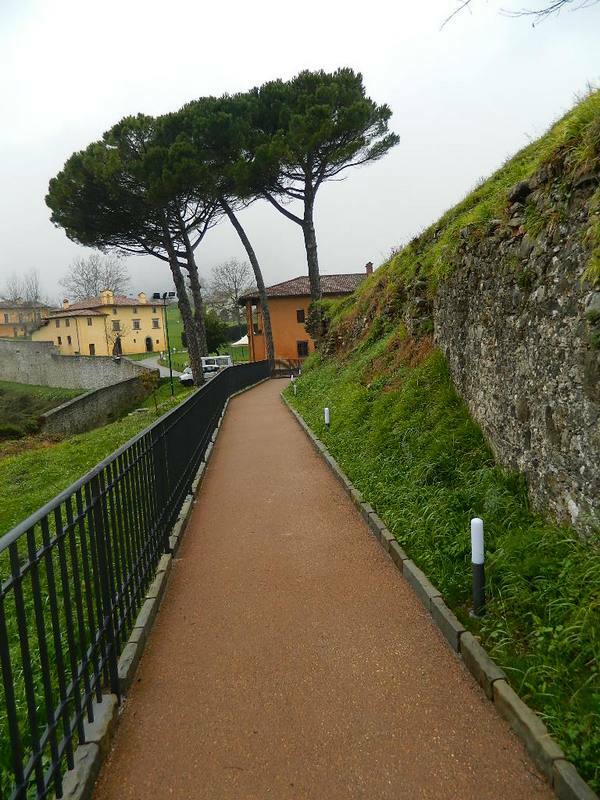 Built to be impregnable and inaccessible by the enemy, today has a paved access road which can be followed by car, car parks, new paths that allow the elimination of architectural barriers, safely access ramps. With the support of assisted technology and the respect of accessibility requirement of its information products - starting from this web site - we want to encourage and make known the knowledge of one of the largest groups of defensive heritage in the Mediterranean.